Today is my Dad’s birthday. He would have been 87 today. 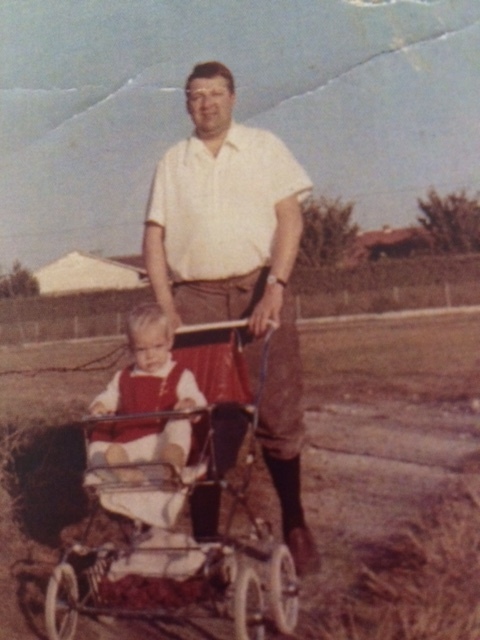 My Dad would have loved being an Opa. He was unfailingly proud of his kids, but I think always a little disappointed at not having grandkids. My Dad didn’t have an easy life but he also knew he had a very lucky life in many ways. He was born just before WWII and spent the first half of his life in Germany, during a difficult period of history, his family and home destroyed by war and the aftermath. He moved our family to the US when I was five, drawn by a better life in a country he has always admired, and started over again in his early forties. He always said his family, and especially we three kids, were the most important thing he ever did. My Dad believed strongly in social justice, fairness, helping others and lived by a strong moral compass. He instilled that same sense of right and wrong in his kids and I know I owe my own sense of fairness and justice to him. My persistence and stubborn streak I get from him as well. He was headstrong and believed strongly in what he believed in, even in the face of seeming to a little “out there” at times. He was a computer nerd before computer nerds were cool. He was not shy to write letters to the editor protesting whatever the latest world or local injustice might be and what teenage daughter in a small town wants that type of attention. He was not definitely not your typical Dad in many ways, but I couldn’t imagine a better father and I miss him very much. Happy birthday, Daddy. I love you very much!